The CarbonLite training programme offers training courses to those involved in commissioning, designing, constructing and using low energy and low carbon buildings. 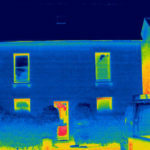 This online training course concentrates on developing a good understanding of issues related to heat and moisture in buildings to help retrofitters avoid and/or manage any unintended consequences arising from the repair, insulation, draught proofing and ventilation of existing UK buildings. Study at home, with on-line tutor sessions with AECB expert practitioners, including Andrew Simmonds, Eric Parks, and Bill Butcher. Read full details about this course and book your place. 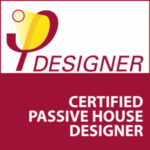 Read more about CarbonLite passivhaus training courses. Read more about the online THERM course here. « Back to AECB building standard main page If this page has not answered your question please contact us at silvercertification@aecb.net.